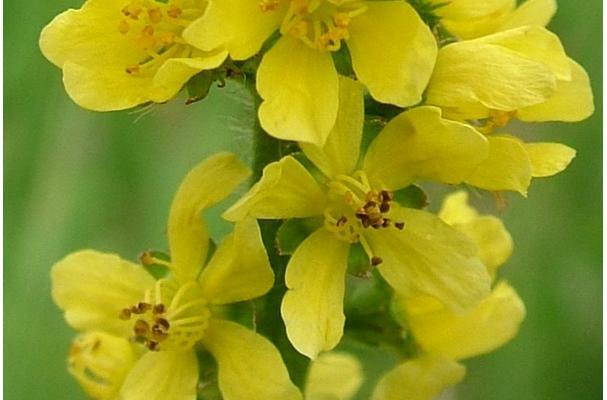 Agrimonia Genus, these are perennial herbs from thick rhizomes; stipules leaf-like, margins deeply toothed. Agrimonia eupatoria leaf. 18847. luontoportti.com (Accessed 7/2017). 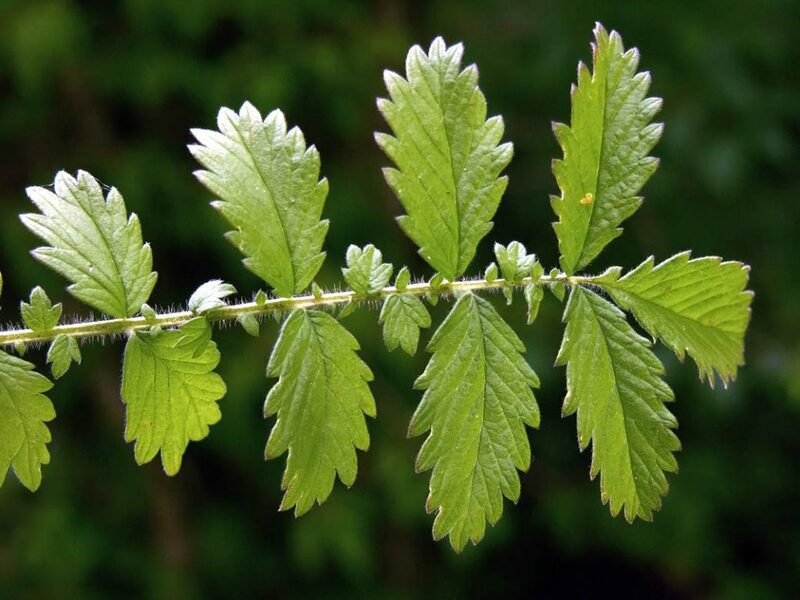 Leaves pinnately compound, with 3-many large leaflets, interspersed with numerous, small leaflets, margins toothed. Flowers yellow, petals 5, calyx at first spreading then coalescing at tips and forming a stiff beak in fruit, ovaries-2, expanded floral base (hypanthium) covered with hooked bristles. Inflorescence long, spike-like, with spaces between flowers along the stalk. Agrimonia eupatoria fruit. luontoportti.com (Accessed 7/2017). 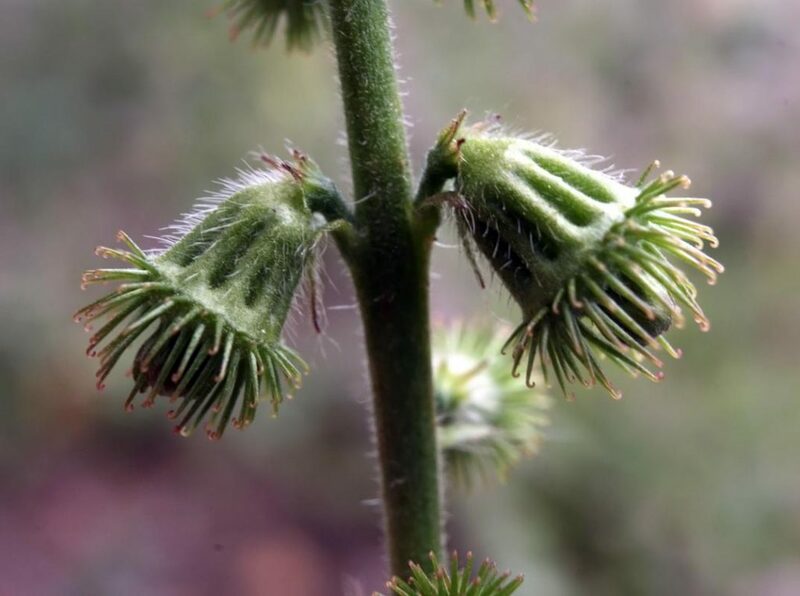 Fruit dry achenes. Bristles hook onto fur or clothing as a means of dispersal.